What are the options for emergency shelter? Prefab single unit shelters are available, as well as units designed to be conjoined in practically unlimited variations. These essentials may or may not be included by the individual manufacturer: water tank, hatch, light fixtures, door, ladder, chemical barriers, septic system, power sources (battery, solar, generator.) Units designed for bio-chemical protection will also include some kind of air filtration system. Public shelters are an option. When disaster is declared, shelters are made available to the public. However as we saw in the Hurricane Katrina disaster, the disaster may outstrip the available resources, It's always good to have another alternative to dependence on public resources. People have been sheltering in tents since before legionaries traveled the Roman Empire with their leather tents. Any tent you choose for shelter should be of adequate size for your family unit and waterproof. A synthetic skin is better than the traditional canvas, which, when it is raining, becomes soluble if you touch it with your fingertip and leave trace oils. A steeply pitched roof will prevent water from weighting down or penetrating your roof. 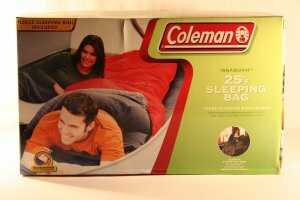 A low, curved tent will be less affected by wind than a tent presenting a broad flat surface area. Tents designed specifically for emergency shelter tend to be longer lasting, stronger and more resilient than standard tents. Geodesic Dome tents are designed as roomy and expandable alternatives to longer-term disaster shelter. 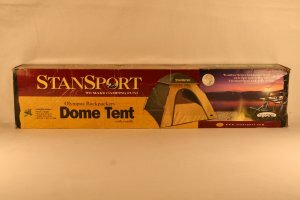 Other alternatives are dome tents with a layer of aluminum sandwiched in the tent construction. And of course, ordinary camping tents are available; these come in hundreds of varieties--from screen room combination tents to pop-up self-erecting tents. Practice setting up your tent, so that you're familiar with the process. Become familiar with determining the best location to locate the tent on a flat surface. A ground cloth should be included. Mylar sleeping bags and blankets which take up slight amounts of space, weigh next to nothing and have surprising insulating qualities are sometimes included in various tent manufacturer's and distributors tent packages. While it is possible to rig up a toilet from a trash can and plastic bag, portable flush toilets are available. Remember to include insect repellant, especially in summer.